.. a decision that was to change my life. For those of you that don’t know me – I’m Annette and I live in sunny Worthing on the south coast of England, with my daughter Chloe – who some of you may have met this Summer in Cihei as she is there for 6 months – and my husband Darren. I am pleased to have this opportunity to share with you my story, as I am very passionate about the work of the Smiles Foundation and my role as a volunteer. 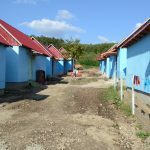 I first heard about The Smiles Foundation in 2007 when a member of my Church gave a talk, following his visit to Romania to film the opening of the Tileagd complex. He was so amazed at the work being carried out by Smiles, that on his return he immediately set about arranging a trip from our Parish for the following summer. I jumped at this opportunity and signed up. That was the start of my journey with Smiles and a decision that was to change my life. I very quickly realised that fundraising was going to be a key part of going on a Mission Trip, not only to help raise funds towards the cost of going, but also funds to help support Smiles. Helping towards the daily costs of the numerous exciting projects operated in Romania. So, a group of us who had signed up for the mission trip got together to organise our first event. It went well, we raised around £100.00 each and everyone was very excited about the fast approaching trip, although none of us really knew what we were going to see and experience during the visit. Our first week in Romania, in 2008, came and went so very quickly. It was a week of many emotions, highs and lows, but one thing I knew for certain was that God was really working in all of the lives that Smiles was reaching out to. He was also working in my life and before I knew it, on my return, I had organised a children’s Christmas disco. I had never organised any such events before, but to my amazement, it went very well and I was able to send more money to Smiles, supporting the projects in Romania. That was the start of my fundraising efforts. Since then, I have found that I am looking for every possible way to raise support. 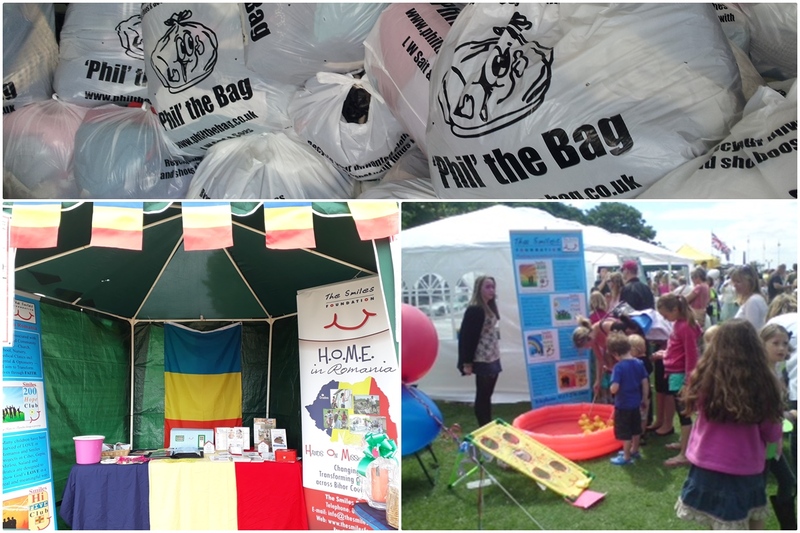 From organising Fashion Shows, car boot sales, children’s parties, coffee and cake afternoons, Irish/folk evenings and even organising larger scale charity fairs. However, I learnt no event can be too small. As I have previously said, it doesn’t matter how much you raise, you are raising money that Smiles can use to improve the life of someone in Romania. Every penny is a blessing and be assured that nothing is too small or insignificant. The fact that you are giving willingly of your time to raise funds, for God’s work, is pleasing to Him and will be blessed. But where do we go from fundraising? Raising money is great and most certainly appreciated as without money the projects would grind to a halt. But we need to do more …. we need to “Go”. Jesus tells us to “go and make disciples of all nations”. 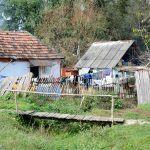 He says that going will not be easy and indeed, sometimes when I’m in Romania, I struggle with what I see and experience, but, like many of you each year, I’m always excited about what may lie ahead of me for that week. 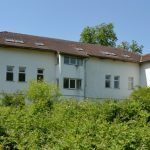 I’m so excited that I want others to share my experiences and “Go”, so I now encourage people to join me in Romania and I organise a trip each year from our Parish, taking as many as I can to fill the Smiles Mission Centre. Organising trips is hard-work. Holding meetings, fundraising, making sure that everyone is prepared for the trip, organising transport to and from the UK airport, getting all the relevant forms completed and sent through to Dawn, and at times, I have struggled with all the logistics. But, whenever I think that it is too much for me – God nudges me, or something happens and I am reminded of the reasons that I have to “GO”. I cannot stay! Greater than the feeling of tiredness is the feeling of love towards my friends in Romania and the knowledge that Jesus has equipped me, to reach out and encourage as many people as possible to go and see and share His love for themselves. The day that the Team meet, to start their journey to Cihei, is amazing and I am so grateful to my God and Father for allowing me the honour of leading such a group. So, for anyone out there that has been thinking about going on a Mission Trip, or whether to get a team together, or to take on a fund-raising event – may I encourage you, do it !! It’s not as hard as it may first seem and Dawn in the Leeds office is so very helpful and just a phone call away. It is great to be able to share the Love of God with your friends and family and our friends in Romania, together, as one family. The joy of putting a team together, to see everyone working as one for the week, is amazing and the knowledge that we are doing it in His name and for the love of Christ, far out weighs anything else. So, in closing, I know we all have busy lives and the pace of life seems to get busier year after year. But as life gets busier, I suggest we need to ensure that the things we do that contribute to that busy life, need to be ‘life changing’. It needs to ‘matter’ and make a real difference. 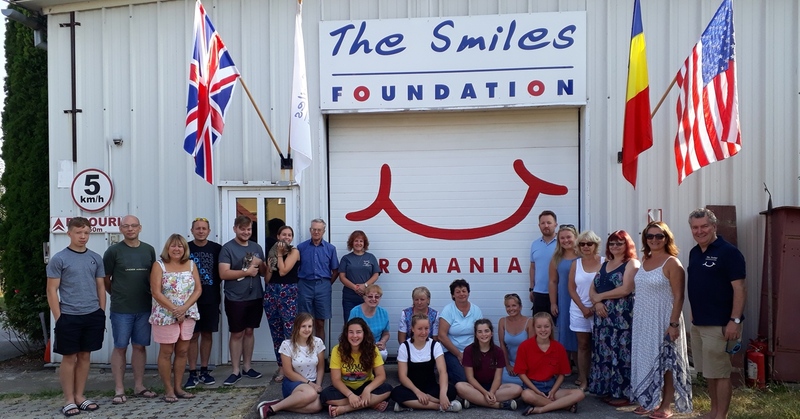 The Smiles Foundation makes a real difference and our part here as a volunteer makes a huge difference to the support Smiles receive for the work in Romania. Please do organise that event you’ve been thinking about, fundraising can be great fun and raises awareness of the Smiles Foundation across the UK and America. Also, be sure to sign up and “Go”. Teams and Trips are being orgainsed all the time, so if you can’t arrange your own team, join one already going and when you’ve experienced it, you’ll probably be coming home, like I did, and start arranging your next trip straight away. Today you may not feel you can do it, but you can. You may not think you’re good at fund-raising or speaking publicly – but once you start, you won’t want to stop and, as a very dear friend said to me on more than one occasion “you are doing great”! Thanks for reading my story. I hope you see the wonderful potential there is for all of us as volunteers to make life-changing differences for people who need a little help. God Bless you as you continue or commit to making the first step.